Delta Force Paintball Hertfordshire: Two Top Centres! Delta Force Paintball Hertfordshire has two fantastic centres for customers to choose from (North West London and Watford), both surrounded by the gorgeous Hertfordshire countryside. Our North West London Paintball Centre can be found on a disused WW2 American Airforce base in the beautiful Hertfordshire Hills. The venue offers unlimited parking on its huge, Heathrow sized runway and also makes clever use of the remaining infrastructure at basecamp. 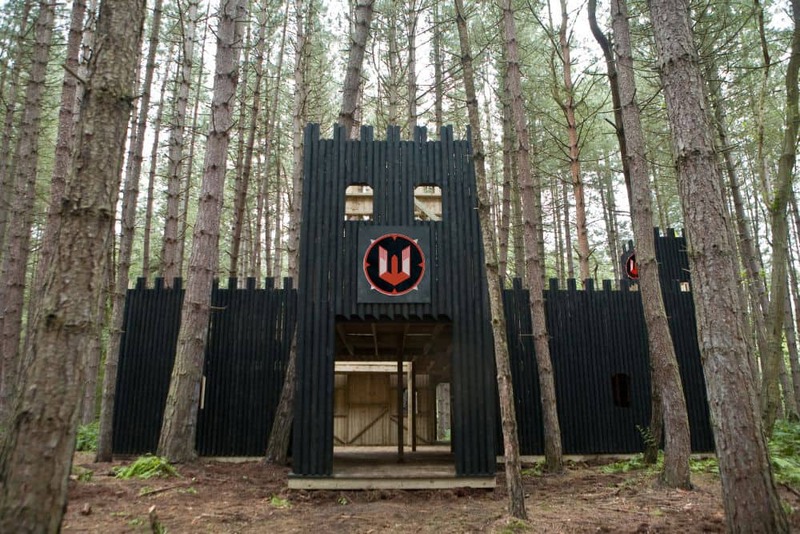 The game zones at Delta Force Paintball Hertfordshire (North West London) include the notorious ‘Black Hawk Down’ which features a crashed Black Hawk replica helicopter and ‘Castle Wallenberg’ which hosts a huge two-storey wooden fortress! Customers can also experience ‘Chemical Alley’ (a fast and furious game of speedball), ‘Mad Murphy’s Jungle Attack’ (set in the dark depths of the rainforest), ‘The Haunted Graveyard’ (which is home to an old church and lots of eerie-looking gravestones) and ‘Viet Cong Village’ (where lots of hostile villagers await). But, if that doesn’t quite take your fancy, you can always visit our other Hertfordshire paintball centre, based in Kings Langley. 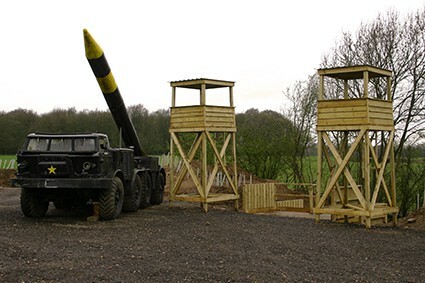 Our Watford Paintball Centre is close to Hemel Hempstead town centre and offers customers a fantastic selection of 5 exciting paintball game zones, inclduing: ‘A Bridge Too Far’ where allied forces have sent numerous paratroopers into the Netherlands. Your mission is to fight your way through the opposition’s heavy defence and seize control of the bridges that cross the river. Or, there’s ‘Mad Murphy’s Jungle Attack’ where you’ll need to make your way through the dark, murky rainforest to try and rescue an injured allied airman. Will you manage to get to him before the opposition does!? Additional game zones include ‘Chemical Alley’, ‘Viet Cong Village’ and ‘Castle Wallenberg’. However, it’s not just the opposition that poses a threat out on the battlefield… You’ll also have to watch out for the Delta Force Terminator who lurks in the woods, looking for a worthy foe. Armed with his lethal BT4 combat markers, the terminator can appear in any game at any time, without prior notice! If he decides it’s you he wants, he’ll raise his guns and point them in your direction. Should you accept, just point your guns back at him and open fire! If he believes you fought well, he’ll give up one of his impressive paintball guns for you to use for the remainder of the game…!